Kakadu floodplain. photo by Michael Lawrence Taylor. The Australian Government is ramping up action to bring threatened species back from the brink of extinction in Australia’s largest national park, Kakadu. As thousands gather in Sydney ahead of World Parks Congress, Parliamentary Secretary for the Environment, Senator Simon Birmingham released Kakadu’s Threatened Species Strategy today, a major change in Kakadu’s approach to threatened species. “The strategy was developed primarily by leading wildlife expert Professor John Woinarski, through the Northern Australia Hub of the Australian Government’s National Environmental Research Program,” said Senator Simon Birmingham, Parliamentary Secretary for the Environment. •	Project 1 - Intensive work to target threats from fire, weeds and feral animals in crucial habitat, extending from the Stone Country to the lowland woodlands. •	Project 2 - Creating a wildlife refuge on Gardangarl (Field Island) for species struggling on the mainland including small mammals and goannas. 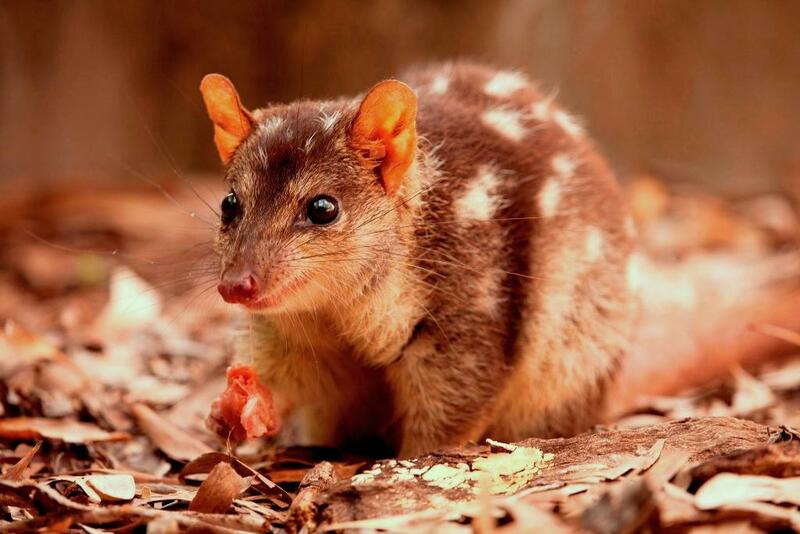 •	Project 3 - Expanding of the ‘toad smart’ quolls project, building on the highly successful research conducted in Kakadu since 2010. •	Project 4 - Seedbanking and propagating threatened plant species, many of which occur nowhere else in the world. “The strategy means more on-ground work to control direct threats such as feral cats, pigs, buffalo, weeds and fire. The park will continue its landscape-scale work to keep habitats healthy, but boost it with targeted intensive effort to reduce threats and support threatened species recovery,” Senator Birmingham said. “To underpin the new approach, Kakadu will use the strategy’s recommendations to fine tune the way it does business, from operational and financial management through to staffing. This will allow direct tracking of investment and underpin clear public reporting of results. “This Kakadu rescue plan, and the strategy that underpins it, are an impressive package of work from one of Australia’s top scientists, Professor John Woinarski. This plan is built on more than a year of consultation with traditional owners, leading researchers and park staff. “This strategy nails the causes of Kakadu’s biodiversity decline with a fearsome mix of feral cats, other invasive species and inappropriate fire practices. It sets the road map for effective action. “Despite the concerns and efforts over many years of park staff and traditional owners, we’ve been losing ground in Kakadu, and the survival of many species has almost slipped through our fingers. We need to do things differently, and better. Chair of the Kakadu Board, Maria Lee, said it is important for traditional owners and the Kakadu Board of Management to work with Parks Australia to look after country. “We have been worried about some of the plants and animals for a long time as their numbers seem to be getting less and less. We think that this strategy is a good thing and we ask the government to help us put it in place,” Ms Lee said. A decade ago, Threatened Species Commissioner Gregory Andrews was living and working in the park with traditional owners. He returned recently and was struck by the changes. Fires have been too frequent and too fierce, and there are noticeable changes in the number and types of animals. “Inappropriate fire is a major concern for our threatened plants and animals,” Mr Andrews said. “Some plants need decades to mature, meaning inappropriate fire can wipe them out. We also know that inappropriate fire makes feral cats even more effective hunters and takes away the hiding places for our threatened reptiles, birds and small mammals. Researcher Peter Kyne with a Sawfish, photo by Michael Lawrence-Taylor. Professor John Woinarski is the lead author of the Kakadu Threatened Species Strategy, and has worked in Kakadu for many years. “Over recent decades, we’ve witnessed major declines in the previously extraordinarily rich biodiversity of Kakadu. It is a tragedy that needs to be recognised and remedied. This strategy offers that remedy,” Professor Woinarski said. 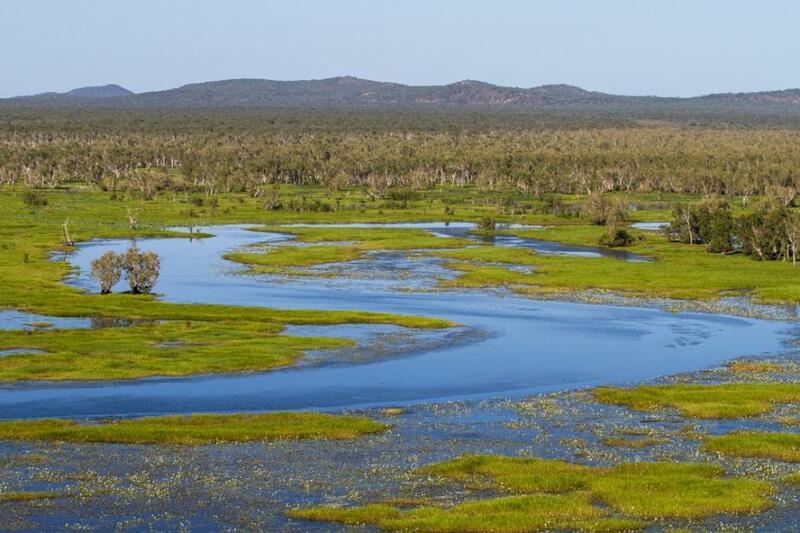 “Kakadu is one of Australia’s premier national parks and one of our most important places for biodiversity. We have the opportunity here to set a standard, to show that we can make a difference and improve the outlook for our declining biodiversity. It will be a challenge, but it is heartening to see that those responsible will accept this challenge. 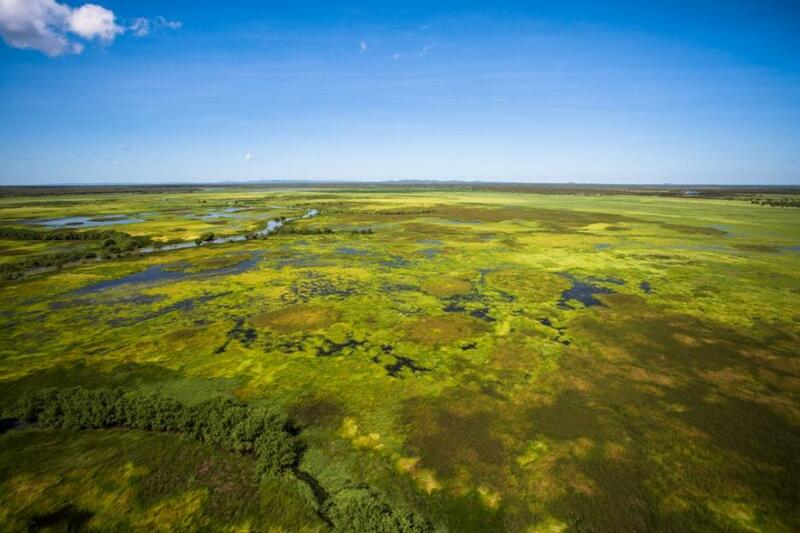 “In part, the problem here is that Kakadu is over-blessed with riches. There are so many threatened species occurring here, each faced with a different array of threats, of differing urgency, and at different locations. The strategy helps managers prioritise species and management responses, to ensure that investments are most likely to achieve the best responses. Kakadu is home to more than 75 threatened species, probably more than any other Australian conservation reserve. Like most of northern Australia, the park has seen a worrying decline in threatened species over the last decade. In 2009, Professor Woinarski and others found a 75 per cent drop over the previous five years in the abundance of small mammals in Kakadu. That rate of decline has since slowed, but without intervention the outlook would be bleak. 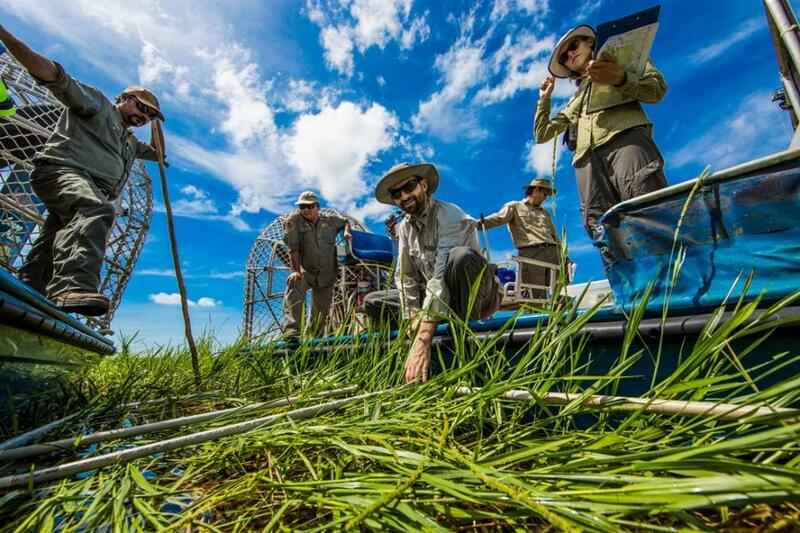 Kakadu Rangers and Researchers working together to tackle floodplain weeds, photo by Michael Douglas. Quoll_C. Photo by Jonathan Webb. Kakadu River. Photo by Michael Lawrence-Taylor.